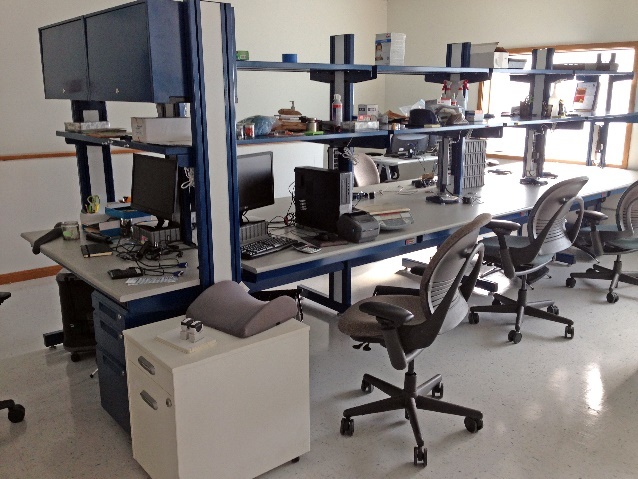 Our premium Evolution® lab workstations from industry leaders Kewaunee Scientific, Inc. come in single and double-sided configurations. 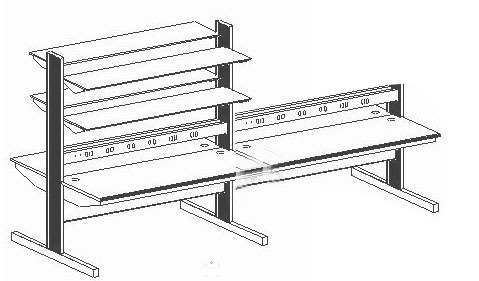 Double-sided offers a lower ‘cost per workstation’, utilizing one structural system to support dual work areas. 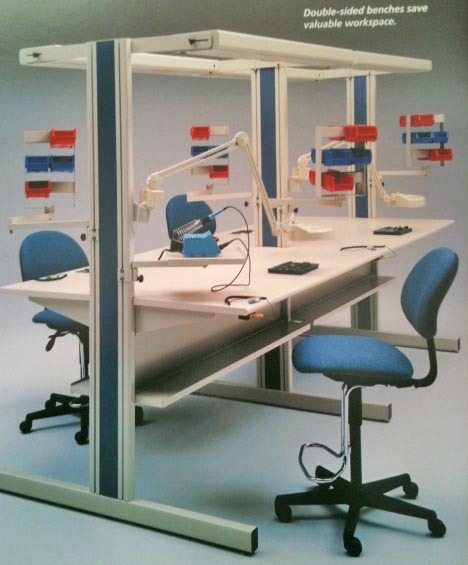 Double-sided lab workstations can be configured with ‘starter’ (free-standing) and/or connected units. This provides optimal flexibility in lab workspace layouts, creating any length/size straight rows, and/or “L”, “T” & “U” layouts. 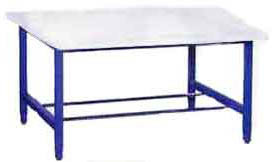 A single sided, free-standing Evolution® cantilever lab bench sits at the end of a row of connected double-sided benches. Same units shown from two different angles. 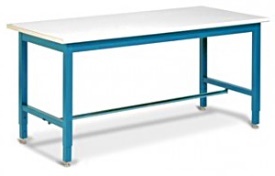 Customers may choose to simply position two 4-leg lab benches back to back, and perhaps bracket them together, to create a double-sided configuration. A more cost-effective alternative is a deeper frame with a single worksurface, up to 48″ D. (Over 48″ depth requires two separates tops set in place back to back with a tight seam down the middle). 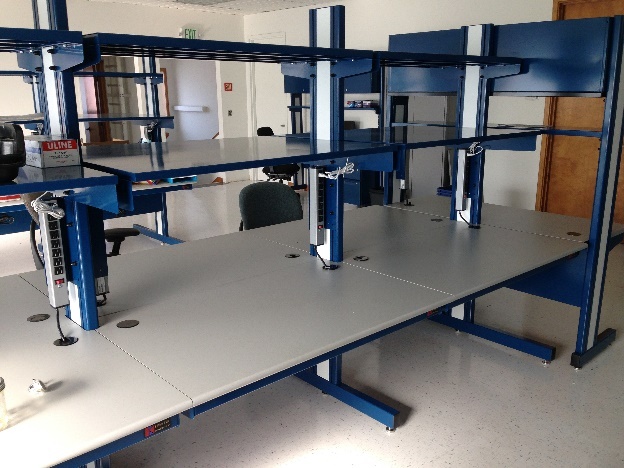 Workstation ‘islands’ are highly efficient, accessible from both sides, saving costs by utilizing a single support frame. 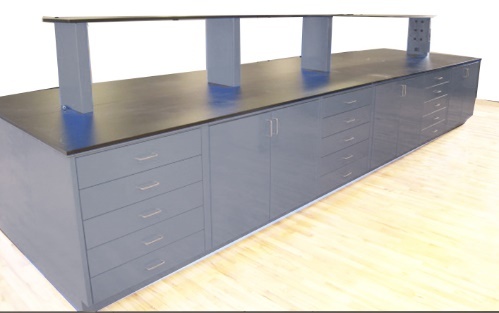 Double-sided J4L lab workbenches can be configured to meet any application by utilizing accessories from our large selection. Lab storage cabinets positioned back to back, supporting worksurfaces – and optional risers, shelves, etc. 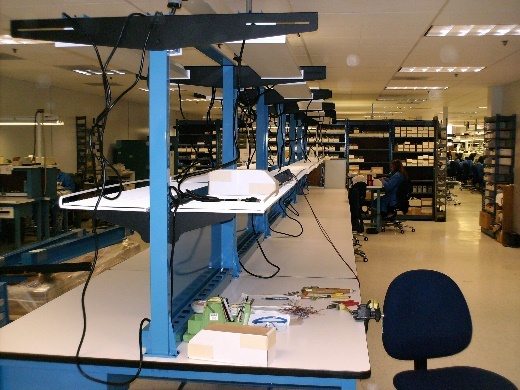 efficiently create storage-intensive, double-sided workstation islands. More info.